Do your members need help using their weekly produce? Do you worry about including relevant recipes in your newsletter? Do you struggle with renewals because members lack confidence and tools to make the most of their share every week? If you’re an individual interested in joining a CSA, click here. "I am really happy to have such a comprehensive index of vegetable recipes, templates, and flavor combination ideas when writing our weekly newsletter. Any recipe or serving suggestion I would make is in there, plus so many more. By including links to the vegetable description and/or to a specific recipe in Cook With What You Have, I save lots of time each week, keep my weekly emails short, and provide a convenient wealth of recipes for our farm share members to use." I'm so grateful to have Cook With What You Have as a trusted resource for seasonal recipes that I can link to in my newsletter. After using the website myself for several years, I know that the recipes will come out right and taste good, even if I don't always have time to test them out. Katherine’s tips for substitutions and improvisations make recipes easy to tailor to what's in the CSA box. Katherine is also very responsive to the evolving crops we offer, and has added several recipes that use new or unusual produce that hadn't already been covered on the site. I highly recommend subscribing to Cook With What You Have for your CSA. Your members will thank you! What is the Seasonal Recipe Collection? I have developed the Collection for CSA farms, using a weekly CSA to create the recipes. 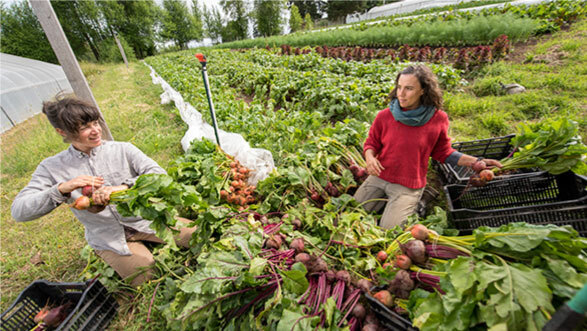 Farms from up-state New York to Pittsboro, North Carolina, to the Pemberton Valley of British Columbia to Portland, Oregon rely on the Seasonal Recipe Collection each season. It is a deep and dynamic resource, organized by vegetable. 900+ simple and delicious recipes include suggested substitutions and variations to respond to the variability of farm-fresh produce. The Collection’s tips and templates inspire and empower people to cook and become more creative and confident cooks. A Farm Membership allows farmers to provide their members with 24/7 access to the full Collection of 900 + recipes, tips, and pantry stocking suggestions. Weekly ideas and links to seasonally relevant dishes, preserving tips and quick methods help people make the most of each share and put dinner on the table. Subscribing farms include their farm-specific access key to the Collection in their weekly newsletters and can choose to link to recipes from the Collection that are particularly relevant each week. I love CSA! I make the case for it at every turn and I blog about it often to give my Farm Members additional tools to convey the beauty and deliciousness that is truly fresh, seasonal produce. If you join as a Farm Member I share more of these tools and promote your farm wherever appropriate. "Cook With What You Have has been a great asset for our CSA farm. I click and paste a recipe weekly to our CSA newsletter. I've traded CSA shares in the past for recipes, but this is so much better. I relate well to the simplicity of the recipes and the wide range of options of mixing and matching different vegetables together in salads, stews, soups, etc. I've also found it easy to find recipes that leave out crops that may have been a crop failure and promoting vegetables that are doing well that particular season. We're looking forward to working together in the seasons to come." "Cook With What You Have provides home cooks with an important tool for getting the most out of their CSA share. It's a valuable add-on that makes the weekly share feel even more special. The extensive catalog of simple, seasonal recipes helps users bridge the critical gap between food going on the table versus in the compost. CWWYH helps farmers retain customers and makes newsletters simpler, so more time can be spent on farming. It's a vital part of our coalition's CSA community." "Katherine bridges the gap between the farm share box and the member's table by giving farm share members confidence that they can cook the vegetables, fruits, and meats. In our society we spend too much time watching cooking shows and too little time actually cooking. Katherine gets our members in the kitchen and cooking which is vital to the business success of our farms. If members don't cook, they won't be back next year." Are you interested in Joining a CSA? Community Supported Agriculture (CSA) is a system that connects the farmer directly with the eater. CSA, also sometimes referred to as Farm Shares, allows you to subscribe to the harvest of a certain farm or group of farms. It is an alternative model of agriculture and food distribution that allows the producer and consumer to share the bounty and risks of farming. 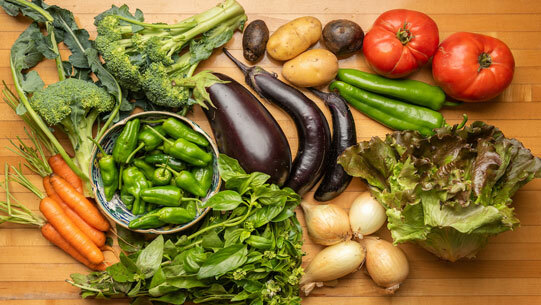 When you subscribe to a CSA/Farm Share you typically receive a weekly box of produce (possibly with add-ons like eggs, meat, flowers, honey, etc. ) for the duration of the season, which can range from a few weeks to year-round. I get to be a more creative cook--cooking with what I have! "I subscribe to Cook With What You Have and really love all the info and flexible recipes. Katherine’s cooking philosophy has expanded me as a cook... made me more adventurous and improvisational. I am getting a bit faster at throwing things together, too. On the web site, you just click on the ingredients you have in your fridge, and up pops a bunch of recipe ideas for what to do with it. It’s especially good if you have a farm or CSA share and don’t know what to do with that large and somewhat bitter head of chicory, for instance (as was the case for me this past week)."